Teren intravilan in zona Est . 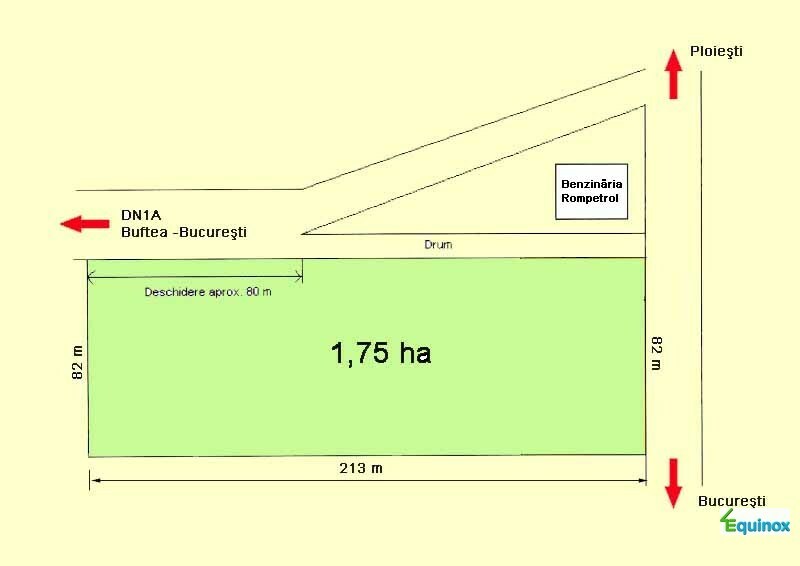 Terenul are o suprafata de 17.500 mp si un front stradal de 78.00 m .
Teren intravilan in zona Negoiesti . 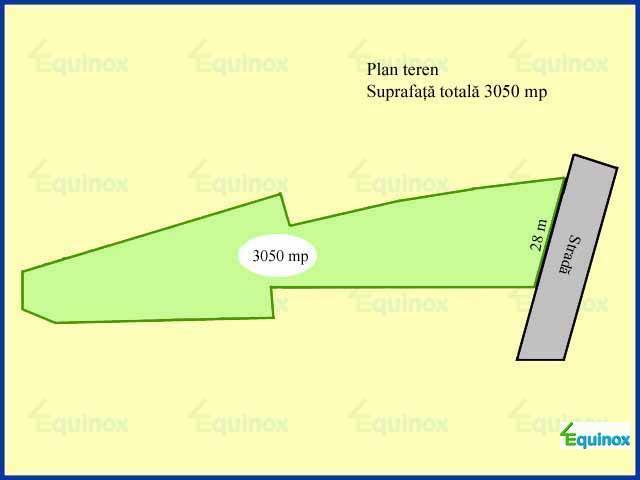 Terenul are o suprafata de 46.500 mp si un front stradal de 109.00 m .
Terenul are PUZ-ul realizat pentru destinatie industriala, cu solutie de acces din DN1A. 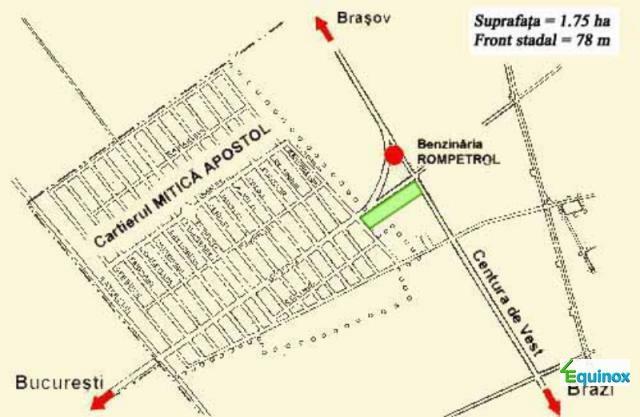 The piece of land occupies an area of around 4,65 ha and is located in the geographical centre of Romania, with nearby rail and railway junctions offering it distinct logistical advantages. 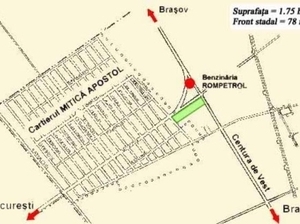 Already scheduled infrastructural development will place this particular piece of land at a strategic location, in the near vicinity of the future Bucharest-Brasov highway, which will form the backbone of Romania's North-South terrestrial transportation axis. The close proximity (100-200m) of a power transformation facility of the highest capacity constitutes an important economic advantage, significantly reducing the costs of access to high-voltage electric power for any industrial business development on the location. Water and gas supply are present in the neighbouring village, within a range that doesn't exceed 1000m. Sewage access, while not currently available, constitutes the object of EU-funded development projects (under the Sapard Programme) that will bring it within similar range. Additionally, water may be obtained directly from the sub-soil, only minimal drilling depth and expenses being necessary for that. massive waves of layoffs during the last ten years. Nearby geological studies have established that, after removing the 40-60cm deep fertile layer, the land is suitable for being built on. The property is owned by a sole landlord, which may considerably speed up any transfer of property, as well as simplify the terms and conditions of such transfer. Teren intravilan in zona Negoiesti . 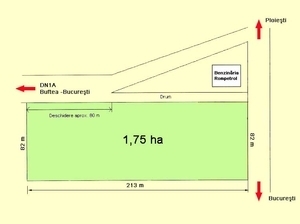 Terenul are o suprafata de 77.000 mp si un front stradal de 200.00 m .
Destinatie: PUZ aprobat pentru destinatie industriala. Utilitati: Energie electrica, apa, gaze, telefonie. Terenul este intravilan, scos din circuitul agricol. 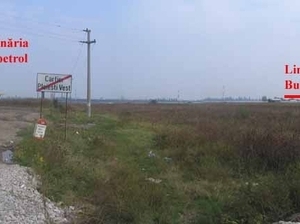 The piece of land occupies an area of around 7.70 ha, located in the geographical centre of Romania, with nearby rail and railway junctions offering it distinct logistical advantages. Teren intravilan in zona Sud . 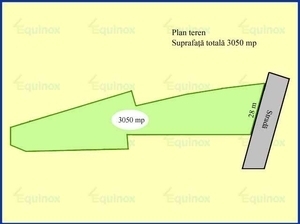 Terenul are o suprafata de 3.000 mp si un front stradal de 28.00 m .